MANILA – Ahead of the first visit of United States President Donald Trump in the Philippines, progressive women showed that he is not welcome in the country. On Nov. 9, Thursday, progressive women’s group Gabriela led the rally against neoliberal policies mainly being pushed by the United States. 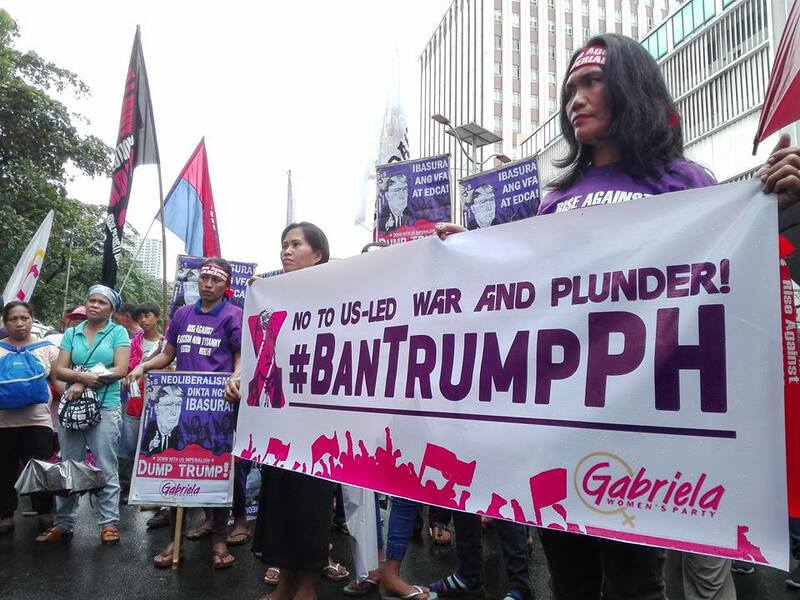 Carrying banners exhorting women to make a stand against neoliberal globalization, militarism and war, protesters marched to the US Embassy in Manila. Anti-riot police blocked the mostly women marchers along UN avenue, blocks away from the embassy along Roxas Boulevard. 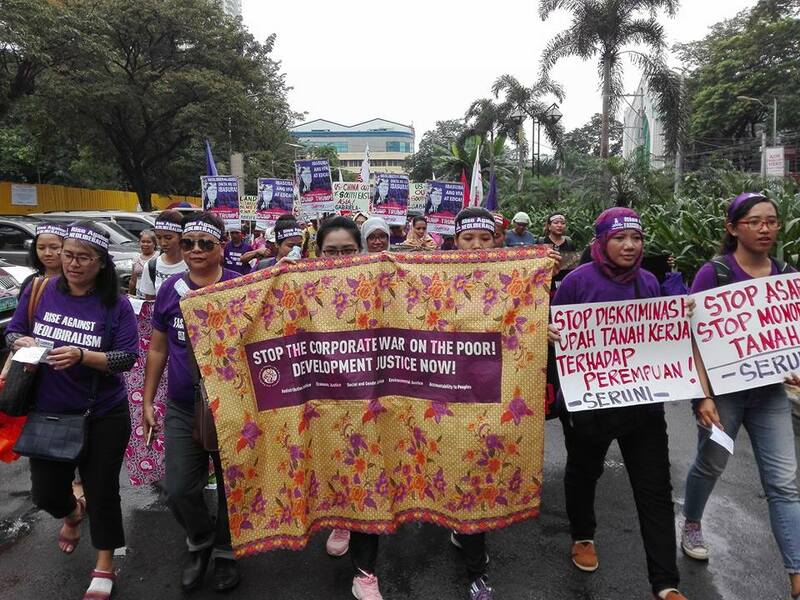 Members of the Asia-Pacific Forum on Women, Law and Development (APWLD) from Burma, Cambodia, Thailand, Malaysia, Vietnam, and Indonesia joined their Filipino counterpart in yesterday’s protest. 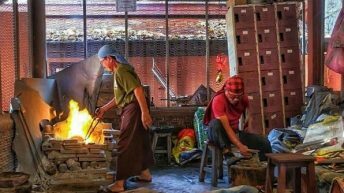 Joms Salvador, Gabriela secretary general said Asian women and their families are bearing the brunt of decades of implementation of liberalization of local economies and aggressive buyouts of state enterprises by global corporations. They suffer the social costs of landlessness, job insecurity, poverty and militarism, she said. 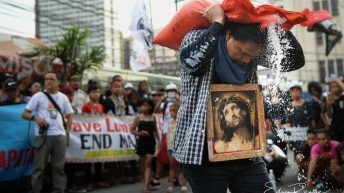 “Impoverished women in the exploited countries of Asia reject wholesale the neoliberal doctrine that the Trump administration and his fellow travelers in free trade networks impose on billions of workers and farmers,” Salvador said. 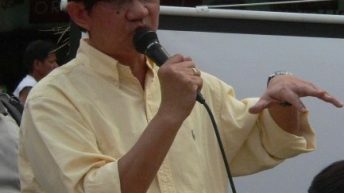 She underscored the “worsening US-China trade wars” that threatens to trigger conflict and worsen the exploitation of women in the Philippines and the rest of the region. “The tightening race among corporate giants in banking, trade and weapons between US, China, Japan, and EU fuels military buildups in the South China Sea and Indian Ocean, opening the possibility that the Trump administration can trigger a major regional conflict in Asia to settle trade imbalances between rivals,” Salvador said. 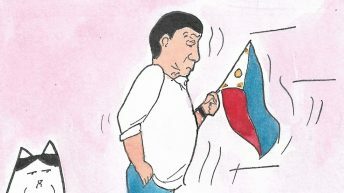 The women leader also lambasted Duterte’s “independent foreign policy” as a sham. Last year, the President has threatened to revoke defense agreements with the US, as he spoke out against the US wars of aggression. But amid the armed conflict in Marawi City, Duterte has become more open to US aid. “The US still holds him by the nose, even as he flirts with China. He has decided to betray the people in favor of ASEAN big business interests and other free trade blocs, and is eager to give Trump guaranteed military bases that will surely plunge our community into endless conflict and destruction,” she said. The Duterte administration is expected to sign major economic protection to the corporate giants behind state leaders at the summit negotiations, Salvador said. 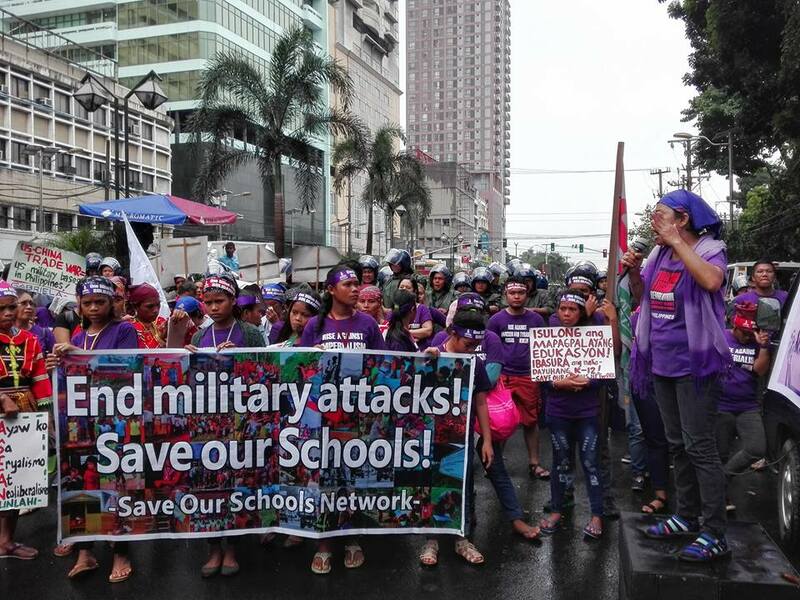 Salinlahi Alliance of Children’s Concerns and Save Our Schools Network also joined the protest as they protested policies affecting Filipino children. 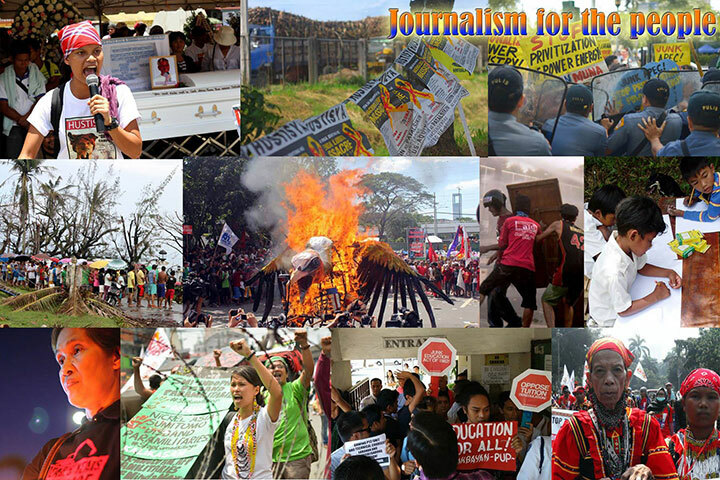 Eule Rico Bonganay, Salinlahi secretary general said the Duterte government continues policies of previous regimes which exploit the labor forces who still suffer from dire poverty and hunger. 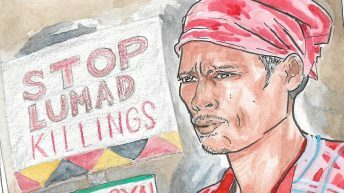 “These conditions leave millions of children dying of hunger, malnutrition, illnesses and accidents due to exploitation of their labor power and exposure to decadent anti-social culture such as criminal activities and drug use/abuse,” Bonganay said. 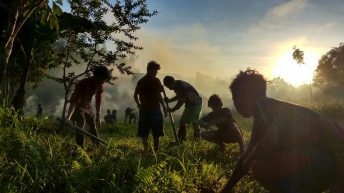 At the same time, children of the national minorities also suffer from the plunder of ancestral lands and other resources, as they are forcibly displaced and their communities and livelihood are destroyed, he added. Similar protests were held by activists in South Korea and Japan where Trump had earlier visited as part of his 12-day Asian trip. He will be in the Philippines on Nov. 12 and 13.